Los Angeles police said Saturday they were called to inspect a "suspicious" package addressed to Treasury Secretary Steven Mnuchin. The package, which had "In care of the American people" written on it, was delivered to a home that neighbors Mnuchin's, despite being addressed to Mnuchin, police said. 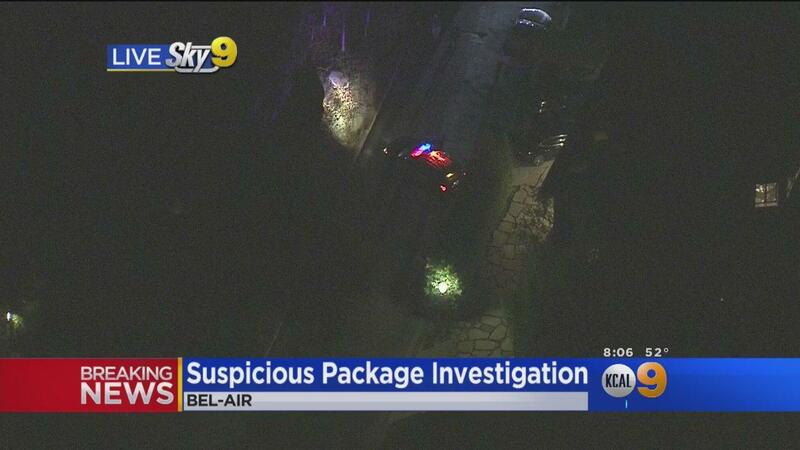 Police cleared the package at around 8:45 p.m., CBS Los Angeles reports. According to police, the package was wrapped like a present. The LAPD bomb squad was on the scene and has blocked off the road near the location, but no evacuations were called, police said. The LAPD has dealt with incidents of vandalism and reports of suspicious vehicles at Mnuchin's home since his nomination in January, police said.